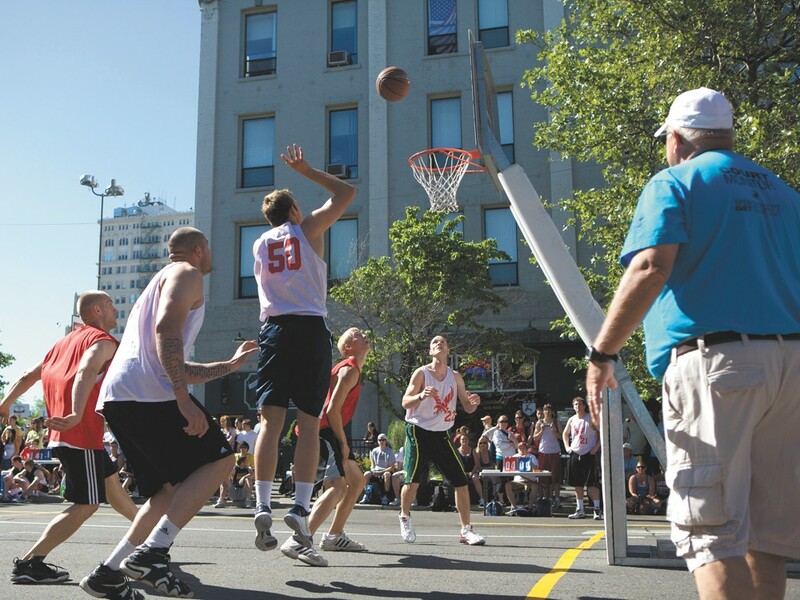 The basketball at Hoopfest is just part of the fun. The former Nuggets and Boston Celtics player will discuss his struggles with substance abuse throughout his basketball career and his journey to sobriety. Long-range competition. Winner receives a Toyota Camry SE. Men’s and women’s Gonzaga basketball teams will sign autographs and complimentary photographs and posters. Slam-dunk competition on a 10foot hoop. The Golden State Warriors’ Nate Robinson and the Sacramento Kings’ Isaiah Thomas, both former University of Washington stars, will sign autographs. Portland Trail Blazers player Jamal Crawford and other professional athletes from the Seattle area will play a game of basketball. Music by Svit Tech Metro Rock Records and DJs 3d and M.E. Featuring Demetrius from the radio station Hot 96.9 and DJ Mayhem. Drink specials and go-go dancers. Featuring NBA players Jamal Crawford, Nate Robinson and Isaiah Thomas. Drinks and two nightclubs with musical hosts DJ Freaky Fred, Jackie Brown, Dartae, DJ Barry and Level Ground. Champions, finalists and bracket winners ceremony. Former local collegiate players and teams from across the United States will compete.